It’s your week to put in double miles, but the temperature just plunged. Time to throw on Smartwool's Double Propulsion 60 Hoody Vest. 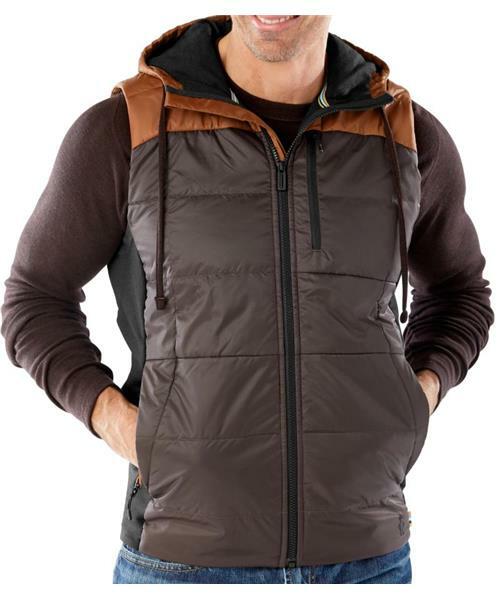 Made with Smartwool's lightest weight SmartLoft wool insulation, this vest offers breathability, temperature regulation, and warmth even when wet. The wind-resistant polyester front panel with protective DWR finish completes the package. Thumbs up to hard workouts and long miles, no matter the weather.